Samsung is stopping production of 1080p and 4K Blu-ray Disc players for the United States market — leaving Sony, Panasonic and LG as the last CE manufacturers supporting the next-generation packaged media format. The South Korean company had been working on a follow-up to the UBD-M9500 4K BD player, which has now been scrapped. Samsung last bowed a new BD player in 2017. Though speculated after Samsung didn’t showcase any new BD players at CES in Las Vegas in January, the company confirmed the move in a media statement. “Samsung will no longer introduce new Blu-ray or 4K Blu-ray player models in the U.S. market,” a spokesperson told CNET. Samsung’s decision follows the exit of Oppo Electronics Corp., the Chinese company known as Oppo, which ceased production of a 4K BD player last year. While observers contend the move could be due to Samsung backing its proprietary HDR10 and HDR10+ high dynamic range formats versus Dolby Vision, a more realistic reason is market forces. For the week ended Feb. 9, 4K Blu-ray accounted for just 5% of sales of the top 50 titles, according to VideoScan. That compared with nearly 40% for Blu-ray and 55% for standard DVD. Indeed, pending Oscar-nominated new release The Favourite (20th Century Fox Home Entertainment) and Stan & Ollie (Sony Pictures Home Entertainment), reportedly are not getting 4K UHD releases, while Oscar nominee Bohemian Rhapsody and Widows (Fox) are. Regardless, home entertainment studios remain bullish on 4K UHD. Format sales surged nearly 70% in the third quarter last year, according to DEG: The Digital Entertainment Group. There were 392 4K Ultra HD Blu-ray Disc titles available in Q3 representing more than $162 million in consumer spend for the period, and 595 4K titles available digitally. 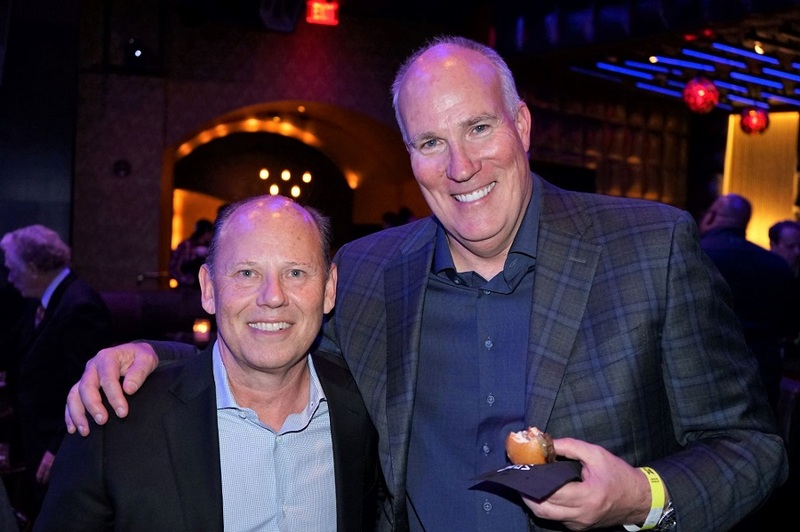 “4K UHD discs already account for almost one in 10 new release discs sold in the U.S,” Eddie Cunningham, president of Universal Pictures Home Entertainment, told Media Play News. Paramount Home Media Distribution boss Bob Buchi in January said the studio would offer most of its theatrical releases on 4K UHD Blu-ray, as well as select catalog titles. “The response to our catalog 4K releases has been very promising, so we expect to see increased interest in owning treasured classics in the very best format available,” he said. LAS VEGAS — The Entertainment Merchants Association hailed the growing commitment of its membership at a meeting Jan. 8 during CES. 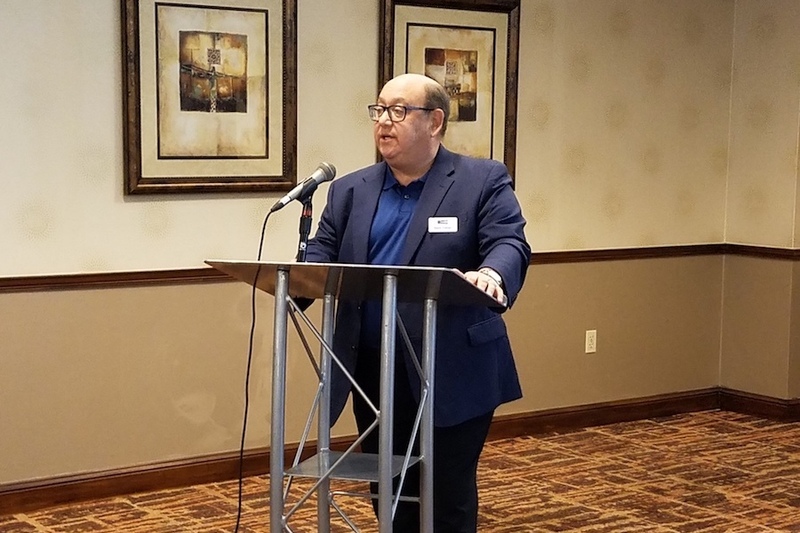 “The engagement of our members over the past year I think is more than we’ve ever seen,” said president and CEO Mark Fisher. “It’s been an interesting year in the industry and for our association,” he said, noting the growth of digital purchase storage locker Movies Anywhere and the expansion and churn in the OTT space (including pending streaming services from Disney and WarnerMedia). He noted that the EMA had a “very successful OTT conference” at the Los Angeles Entertainment Summit in July, which had to downsize its budget. The organization “learned how to operate a conference at lower cost,” during the July 2018 LAES. But the EMA is focused on the entertainment delivery systems of the future. Fisher noted that, in July, DEG: The Digital Entertainment Group, the EMA and MovieLabs formed the Digital Supply Chain Alliance to strengthen the digital supply chain. “That alliance have proven to show really rapid results,” he said. Mitch Mallon, CEO of Stadium Media and chair of the digital EMA steering committee, added that EMA digital membership has grown, digital events have expanded and that the committee has created six white papers. In the coming year, the committee “will be focusing on how OTT is starting to move out into the European marketplace,” he said, including launching a new project to list digital platforms around the world. Steve Apple, VP, industry sales at the EMA, moderated a discussion on the OTT market. Panelist Jason Peterson, CEO of GoDigital Media Group, noted that international markets and cultures require a different approach, including mobile, non-cash, non-banked payment opportunities. “We’ve really focused on the Hispanic audience,” he said. Panelist Tricia Lee, SVP, product and development, Sony New Media Solutions, noted that focusing on a rabid fan base can be key in the OTT space, referencing her work building Funimation’s service, which has “hyper-attention fans” in the anime space. Services “need culturally significant content to cut through that clutter,” Peterson added. Consumer spending on home entertainment hit a new record in 2018, buoyed by subscription streaming as well as transactional video-on-demand (TVOD), DEG: The Digital Entertainment Group announced Jan. 8. Total consumer spending on home entertainment during the year shot up to an estimated $23.3 billion, up 11.5% from total consumer spending in 2017, the DEG said, noting that figures are preliminary. Final numbers will be issued in early February. As expected, subscription streaming — chiefly through Netflix, Amazon Prime Video and Hulu — led the way, with a 30% year-over-year gain to $12.9 billion. Consumers spent an estimated $2.46 billion on digital purchases of movies, TV shows and other content, up 14.4% from what they spent in 2017. They spent another $2.09 billion to stream movies on demand, the electronic equivalent of renting a DVD or Blu-ray Disc, up 6.2% from the prior year. Total spending on TVOD, the DEG estimates, came in at $4.55 billion, a healthy 10.5% spike from TVOD spending in 2017. Total disc sales continued to fall, despite the growing popularity of 4K Ultra HD Blu-ray, with consumer spending on physical media in 2018 coming in at an estimated $4.03 billion, a 14.6% drop from the prior year. In the fourth quarter, home entertainment spending was particularly strong, with an overall gain of 13% to $6.3 billion. Subscription streaming the fourth quarter was up 30% to an estimated $3.49 billion, while EST rose 20.2% to $664 million and on-demand streaming was up 21.8% to nearly $517 million. Combined consumer spending on DVDs and Blu-ray Discs in the fourth quarter of 2018 was $1.24 billion, down 14.8% from the fourth quarter of 2017. Sales of 4K UHD content rose 70% during the year and 46% in the fourth quarter. The number of 4K Ultra HD Blu-ray titles available in the market grew to 445 titles, with another 682 4K titles available digitally. 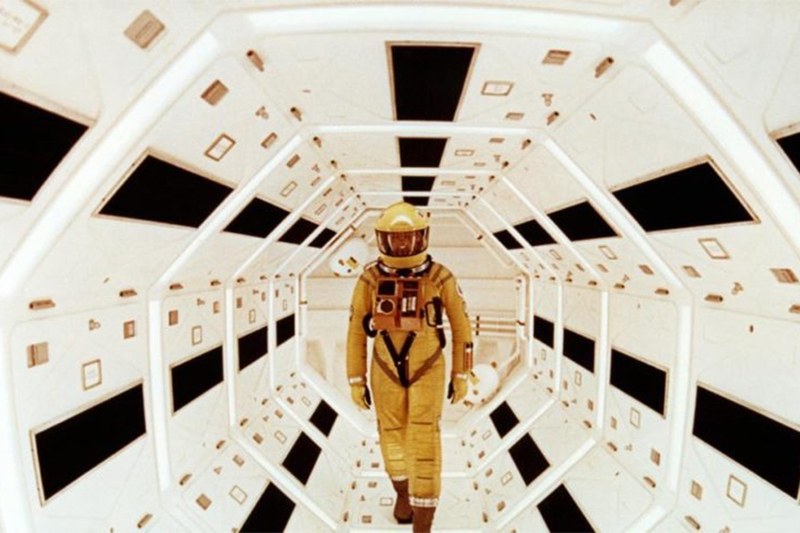 The box-office performance of films released in the year rose nearly 15%. 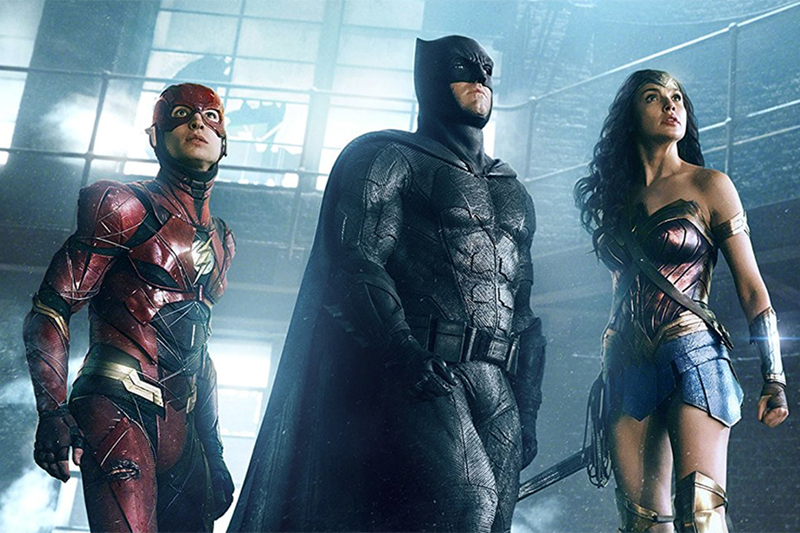 Among the bestselling film titles released on 4K for the home in 2018 were: Justice League (Warner Bros.), Ready Player One (Warner Bros.), Mission: Impossible — Fallout (Paramount), Jurassic World: Fallen Kingdom (Universal Pictures), Deadpool 2 (20th Century Fox) and Avengers: Infinity War (Walt Disney Studios). 4K UHD TV penetration rose 61% over the year-earlier period, to 48 million households, DEG says. Also during the year, penetration of 4K-capable player devices (game consoles and set-top boxes) rose 66%, to 13 million homes. DEG: The Digital Entertainment Group has formed the DTC Alliance as a subset of DEG membership. Under the umbrella of the DTC Alliance, DEG has established six committees to set objectives and agendas in the following areas: Marketing Nomenclature, Data Analytics, International Expansion, Rights Repository, Title Availability Directory and Uniform Metadata Standards. DEG: The Digital Entertainment Group is set to honor Dolby Vision, Sony Electronics and Warner Bros. Home Entertainment Jan. 8 at its annual industry event at CES in Las Vegas. The trade group will use the reception to showcase its Achievement Awards honoring the best 4K UHD hardware and software products released during calendar 2018. Dolby Vision will also be honored by DEG leadership with the DEG Emiel N. Petrone Innovation in Entertainment Technology Award. Named in memory of DEG’s founding chairman Emiel N. Petrone, DEG recognizes Dolby Vision, Dolby Labs’ imaging innovation developed in collaboration with a wide range of studios, creatives, and post-production partners. 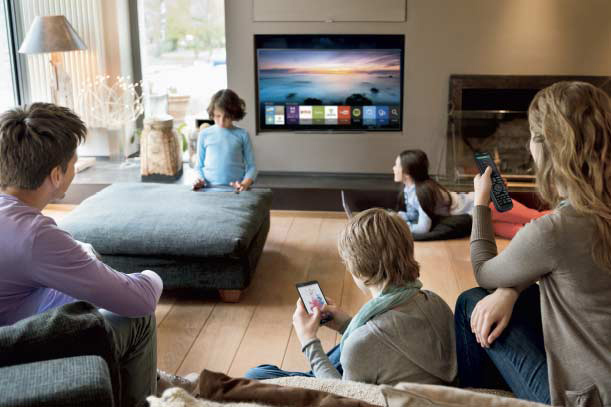 The technology has created new opportunities for the home entertainment industry. 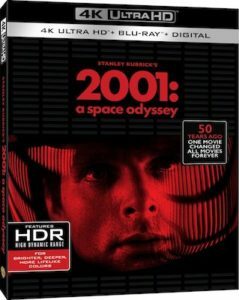 Selected by a panel of product reviewers from the industry’s home theater enthusiast and business publications, the DEG: Excellence in 4K UHD Awards include Stanley Kubrick’s 2001: A Space Odyssey 4K Ultra HD Blu-ray Disc from Warner with the DEG: Excellence in 4K UHD Content Award. DEG cited the title’s demonstrated excellence in 4K image capturing/transferring; HDR encoding; wide color rendering; and immersive audio. The DEG: Excellence in 4K Product Award honored Sony Electronics for its Sony Master Series A9F OLED TV. For the Product Award, DEG cited Sony’s consistent delivery of “outstanding” audio/video performance, convenience and versatility. If there’s any truth to the adage “change or die,” then the home entertainment business has plenty of life left in it as we begin 2019. The coming year will bring significant changes, as studios and distributors continue to rejigger business models to reflect changing consumer habits domestically and worldwide. Walt Disney will finalize its merger with 20th Century Fox, leaving Hollywood with five major studios, not six. AT&T will continue the integration process with the former Time Warner, now known as WarnerMedia. And if you thought subscription streaming had a banner year in 2018, 2019 will likely see even bigger growth, with the emergence of at least two formidable challengers to longtime market leader Netflix. Walt Disney will finally launch its much-ballyhooed SVOD service, Disney+, with a focus on the same content that rules at the box office: “Star Wars” and all things Marvel. The first “Star Wars” live-action series, “The Mandalorian,” should arrive later this year, and Disney recently announced a prequel series based on Rogue One character Cassian Andor (played by Diego Luna). Disney also confirmed Disney+ is developing a live-action Marvel series centered around Loki, from the “Avengers” movies. The latest numbers from DEG: The Digital Entertainment Group show consumer spending on subscription streaming grew 30% in the first nine months of 2018. If that growth rate held up through the end of 2018, then consumers will have spent nearly $12.3 million on subscription streaming, or SVOD (subscription video-on-demand). 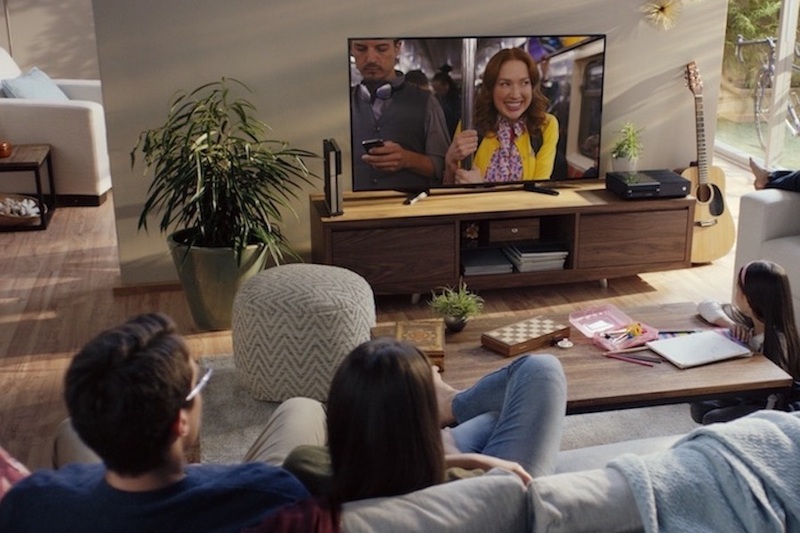 How high consumer spending on SVOD will grow in 2019 remains anyone’s guess, although observers believe continued double-digit gains in line with prior years is the most likely scenario as consumers continue to “cut the chord” with pay-TV services. Last August, research firm eMarketer said it expected the number of U.S. cord-cutters — adults who have canceled a pay TV service and continue without it — to climb by 32.8% in 2018 to 33 million. The number of subscription OTT video service viewers, meanwhile, was on track to rise to 170.1 million, or 51.7% of the U.S. population. The “VOD” that the studios are most intent to grow, transactional VOD, posted a surprising growth spurt in the third quarter of 2018 — 18% for electronic sellthrough, or EST, and 10% for digital rentals. Michael Pachter, a senior media analyst with Wedbush Securities in Los Angeles, doesn’t see SVOD making much of a dent in TVOD in 2019. Jim Wuthrich, president, Warner Bros. Worldwide Home Entertainment and Games, agrees that the transactional business and streaming can peacefully co-exist. “Consumers have more choices for content than ever before, and on demand streaming services are increasingly their go-to option,” he said. “On an aggregate basis, the streaming services have helped transactional services become mainstream, encouraging consumers to connect their devices to on-demand video. 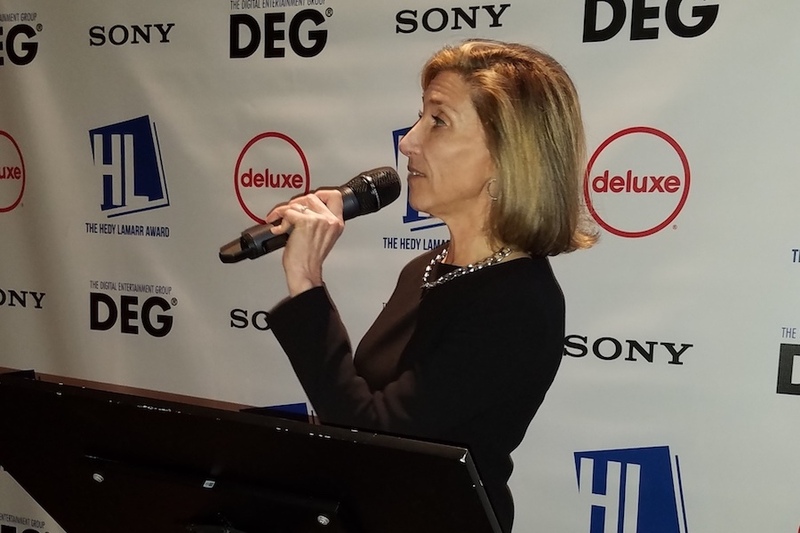 Looking ahead, Amy Jo Smith, president and CEO of DEG: The Digital Entertainment Group, says 2019 will be the most exciting yet for digital media. “2018 has been a lot about the notion of how transaction and subscription distribution models can co-exist, and content owners have begun to lay foundations for their direct-to-consumer businesses,” Smith said. “In 2019, we will see the world’s biggest content owners actually beginning to deliver very high-profile entertainment directly to consumers, and as they do that they will gain the most detailed view yet of who their customers are and what their fan base craves. Accordingly, studio executives agree that in 2019, their No. 1 priority will be to continue to growth the transactional, or on-demand business — both physical and digital. “We are taking a deep dive into consumer behavior as we continue to navigate the changing home entertainment landscape,” said Bob Buchi, president, worldwide home media distribution, for Paramount Pictures. “We’ll be sharing the results of quantitative and qualitative studies with our retail partners to work with them on crafting innovative strategies for reaching consumers and driving transactional sales. As consumer habits continue to evolve, digital movie sales and rentals — electronic sellthrough (EST) and transactional video-on-demand (TVOD) — will remain a priority, Schwartz said. While studio executives agree their focus on 2019 will be to grow the digital side of the business, they aren’t giving up on the physical disc — particularly with the rapid acceptance of 4K Ultra HD. “Consumers decide how, when and where they want to experience our content, and the physical disc remains a valuable option for them,” adds Chris Oldre, EVP of pay TV, digital and international distribution at Walt Disney Direct-to-Consumer and International. “The home entertainment releases of Ralph Breaks the Internet and Mary Poppins Returns will offer the kind of trusted family entertainment that Disney is known for,” he said. “Later in the year we’re introducing a new Marvel character to the home entertainment audience with Captain Marvel, and we will be closing out a truly iconic series with Avengers: Endgame. Independents, meanwhile, are looking for whichever distribution channels and platforms that make the most sense. “I am really focused on watching three exciting trends that will have enormous impact on the ever-changing entertainment landscape,” said Bill Sondheim, president of the Cinedigm Entertainment Group, who in November 2018 took on additional duties as President of worldwide distribution. “First is the battle for SVOD dominance that really starts in earnest when Disney launches its direct-to-consumer streaming service to compete head on with Netflix,” said Sondheim, who in his expanded role continues to lead the company’s growing China/North America business pipeline, in addition to managing distribution in the rest of the world. “This will likely create audience migrations that will have far reaching impact on the mid-tier SVOD players more that the top-tier providers,” Sondheim said. “The second trend to watch is AVOD’s explosive growth, which may be a prime beneficiary of the audience shifts that will occur in the SVOD battles mentioned above. The AVOD segment has long been the held back due to lower quality content or older catalog offerings, but as the cost of SVOD consumption grows, the AVOD alternative is rapidly evolving with higher caliber brands and newer content that will drive audience adoption. Back in 1989, a State Department official named Francis Fukuyama wrote a controversial essay on the “end of history,” opining that the collapse of the Soviet Union and Eastern bloc communism, the reform movement in China, and the reunification of Germany signaled a triumph for Western democracy and a very real promise of freedom and liberty for all. Fukuyama’s vision of a global utopia didn’t last long, but for a brief moment in time cultural and political differences seemed to be set aside in favor of everyone working together to make the world a better place. Similarly, in 2018 the various factions in home entertainment seemed to set aside their differences and recognize that we’re living in a multi-platform world — and that a peaceful coexistence between disc and digital, subscription and transactional, was, indeed, possible. 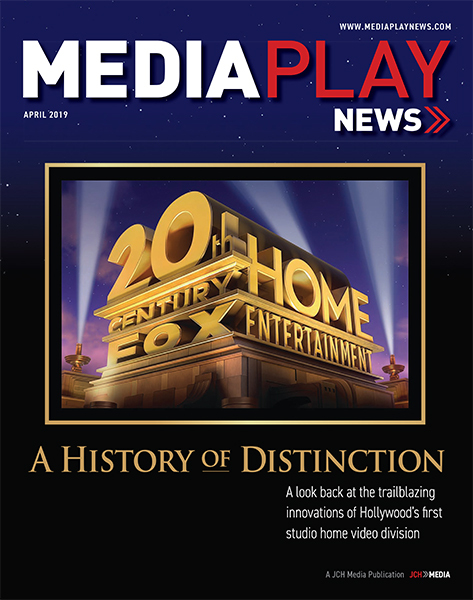 “2018 saw the continued integration of technology and content at an even more accelerated pace, and, with that, the opportunity to engage fans with more focused and meaningful experiences that extend the life of our film and television properties,” said Keith Feldman, president of worldwide home entertainment for 20th Century Fox. Indeed, studios cut back on selling content to Netflix — most notably Disney, which pulled all its movies off the service by the end of the year — in favor of issuing it on their own platforms. They rallied behind Movies Anywhere, a digital movie storage “locker” launched in October 2017, and saw digital movie sales soar, with an 18% gain reported in the third quarter of 2018, according to DEG: The Digital Entertainment Group numbers. Netflix, meanwhile, vowed to spend $8 billion in 2018 on producing its own shows, with the goal of making its content library 50% original. Studios that once sued Redbox for renting DVDs and Blu-ray Discs, claiming the kiosk vendor was cannibalizing disc sales, struck distribution deals in which prior holdbacks were either sharply cut back or eliminated. They also rallied behind Redbox On Demand, a digital movie store launched in December 2017. On the retail front, big-box chains like Best Buy and Walmart put discs back into the spotlight, buoyed by the emergence of 4K Ultra HD Blu-ray. It was all part of a bigger picture, in a year dominated by major media mergers — AT&T buying Time Warner, Disney buying 20th Century Fox — suggesting it was high time to come together and restructure existing business models to reflect changing consumer habits. Content, as always, was king, but the feuding fiefdoms of the past were at last coming to peace with each other — and with themselves. Subscription streaming continued to dominate the home entertainment business in 2018. Indeed, in the first nine months of this year, according to DEG: The Digital Entertainment Group, consumer spending on Netflix and other subscription streaming services rose more than 30% to $9.4 billion, nearly $2 billion more than consumers spent on all other forms of home entertainment combined– disc purchases ($2.79 billion) and rentals ($1.37 billion); digital purchases, or electronic sellthrough (EST, $1.8 billion), and digital rentals, or transactional video-on-demand (TVOD, $1.57 billion). But where Hollywood once saw a threat, in 2018 the studios saw an opportunity. As consumers, thanks to streaming, became increasingly accustomed to viewing movies and other content electronically, studios focused on moving them toward on-demand digital purchases or rentals — driving home the message that new releases aren’t typically available through subscriptions. “Our comprehensive and strategic efforts to drive digital ownership and bolster engagement such as leveraging the early window, offering exclusive extras and emphasizing the best viewing experience possible are proving to be very effective as consumers continue to move toward and embrace the digital experience,” said Chris Oldre, EVP of pay TV, digital and international distribution at Walt Disney Direct-to-Consumer and International. For Bob Buchi, president of worldwide home media distribution at Paramount Pictures, 2018 was the year of 4K. Retailers certainly did their part in pushing the transactional business. 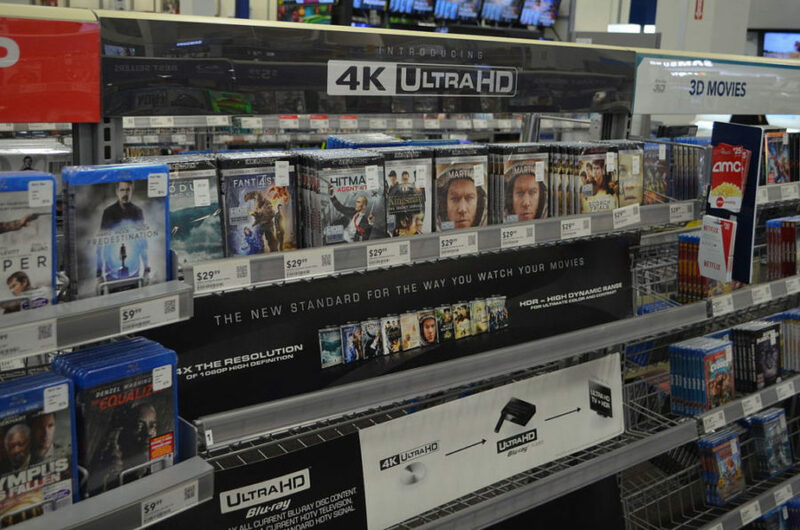 At Best Buy and Walmart, the emergence of 4K Ultra HD Blu-ray led to bigger disc sections and, in the case of Best Buy, placement back in the center of the store. Redbox in 2018 relaunched its brand, which included some major ad campaigns and sponsorships, including the Redbox Bowl college football game on New Year’s Eve at Levi’s Stadium in Santa Clara, Calif. The company also revamped its loyalty program; negotiated more favorable distribution deals with studios; and expanded the availability of previously rented movies and video games at kiosks. FandangoNow, a business unit of movie-ticket seller Fandango, struck deals with most major studios that allow it to package movie rentals into “binge bundles” that let consumers watch multiple movies at a lower price. The new offering launched on the Labor Day weekend with more than 100 bundles. FandangoNow also cross-promotes digital movie sales and rentals with ticket sales. In December, just before the holidays, consumers who spent $20 on FandangoNow received $8 toward a movie ticket. In the end, studio executives agree, it all comes down to keeping consumers engaged — which requires constant work. DEG: The Digital Entertainment Group, the Entertainment Merchants Association and Motion Pictures Laboratories (MovieLabs), together with member studios, retailers, and service providers, have approved and released four updated supply chain specifications for digital distribution of film and TV. The specifications were developed and reviewed jointly by the three organizations through the Digital Supply Chain Alliance announced earlier this year. The new updates are designed to expand support for international distribution to ensure all territories receive the right content and facilitate more sophisticated business engagement and improved automation among participants in the digital supply chain. The updated documents include two comprehensive specifications developed over many years and two more targeted specifications for “core” requirements and use cases. 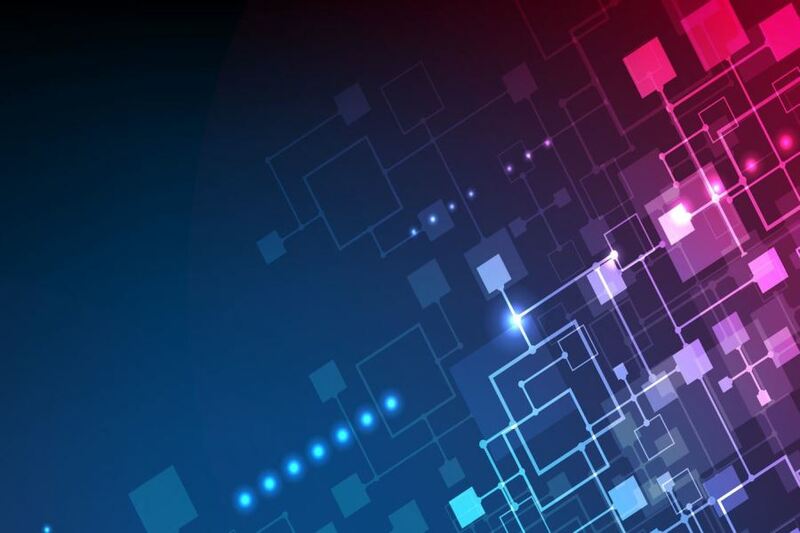 The core specs enable content owners and distributors to start small with a simpler initial deployment, then grow the implementation as needed to meet requirements. • Common Metadata 2.7 — New features have been added to the Common Metadata specification, including support for franchises and brands, related works, more sophisticated TV internationalization, and technical metadata improvements (e.g., dynamic metadata and additional encoding parameters). The new spec also includes general updates such as new codec-controlled vocabularies, minor corrections and clarifications. • Media Entertainment Core 2.8 — The Media Entertainment Core Metadata spec defines the core requirements for transferring metadata from publishers to retailers. MEC has been updated to conform to Common Metadata 2.7. • Media Manifest 1.8 — The Media Manifest spec has also been updated to follow Common Metadata 2.7, as well as adding data to support additional workflow use cases, ability to handle cards in playable sequence, and improved support for TV that reduces the need for territory-specific experiences. • Media Manifest Core 2.0 — Media Manifest Core 2.0 is the targeted core specification based on Media Manifest 1.8 and Common Metadata 2.7. It includes all the improvements from those specifications and adds full support for episodic content. The latest specifications can be found on the MovieLabs website www.movielabs.com/md.